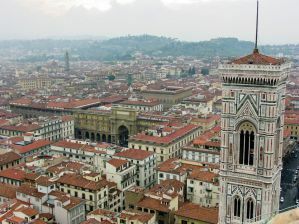 Florence is the capital of Tuscany and is a favorite travel destination in Italy. It's world renowned for its art, architecture, culture and food. It is definitely a not-to-be-missed destination in Italy. The city is beautiful to explore on foot. One of its most popular attractions, the Duomo, is centrally located and a great landmark to begin your exploration. Many travelers choose to stay near the Duomo because of its central location and easy accessibility to other parts of the city. The hostels below are favorites among travelers who hope to make the most of their time in Florence. This hostel is one of the most popular hostels in all of Europe. It's popular with both young adults and families who are looking for a good place to stay in Florence with a vibrant atmosphere. It's also a great value for it's price. It's located in a central part of the city and is just a three minute walk from the railway station, and close to the Duomo and other central attractions. The hostel offers great facilities for guests. There's a wonderful courtyard and dining area where guests enjoy mingling and sipping wine. There are several great bars and nightclubs just down the street that guests often frequent. If you're hoping to get some sleep, the rooms are well separated so they are removed from the action and noise. Other amenities available through the hostel include free walking tours, a free breakfast, internet access, and a wonderful, artistic environment. A great hostel for solo travellers and couples looking for a quiet and welcoming place to stay. The Academy Hostel is a favorite among travelers to Florence. It's well reviewed and affordable so that budget conscious travelers can find something comfortable that meets their needs. It's located in the center of the city not far from the Duomo, but it is also in a quiet setting so you can be assured a good nights sleep. 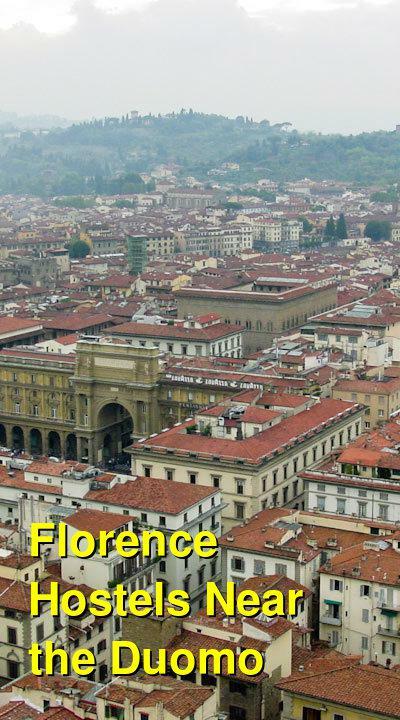 Nearby you'll find plenty of things to do including Florence's famous nightlife. Amenities available through the hostel include free internet and wi-fi, a large common area that is equipped with a television and play station, access to an iron, ironing board, and AC adapters, night security, free linens, and free luggage storage. The staff is friendly and multilingual so they are readily available to answer any questions you might have. This is a welcoming place to stay and you're sure to be comfortable and entertained. A great hostel for solo travellers, female travellers, couples, and groups. Slightly further out from the central area of Florence (but still within walking distance) is this gem of a property with a huge pool, modern fixtures, and other amazing amenities. They have dorms and private rooms with ensuite bathrooms. They have an indoor pool and an outdoor pool, plus a restaurant/bar, lounge areas, game rooms (including a Wii), free WiFi/internet, televisions, keycard access, and more. This place literally has everything. The building is also fairly new, so everything is modern, clean, and organized. It can also have a bit of a party feel around the pool area in the summer, if you're up for some socializing. But the dorm areas are said to be quiet by various guests which have reviewed the property. A good hostel for solo travellers, couples, and families. This hostel is located in a historic building that offers single, double, triple, and quadruple rooms, and also dorms. You also have the option to choose between rooms with private bathrooms and those without. This is a small and private hotel and hostel, so if you're looking for a party environment it probably isn't for you. However, if you're looking for a quiet place to get a good night's sleep and have some casual socialization with other guests, it is the perfect option. It's also important to know that you'll be locked out of the hostel for cleaning between the hours of 10 am and 2 pm. There's a quiet time between midnight and the early morning. The building is located very close to the train station and the Duomo in the heart of the city, and is a short walk from the Uffizi Gallery and the Old Bridge. It's about three minutes from the Duomo and in walking distance of many of the city's most popular attractions. The offer free WiFi, lockers, hot showers, a cafe, and an outdoor terrace.